Pastors and ministry leaders are often the first to arrive at church on Sabbath morning. You unlock the doors, turn on the lights and equipment, and prepare to greet members as they arrive. Often the same people close the doors, shut off the lights, and lock-up the building until the next scheduled program. As a pastor, you are probably quite familiar with this process and have become accustomed to opening and closing the church every week. Each time you lock the church doors, someone may be lurking in the shadows, watching and waiting for an opportunity to sneak in. Sometimes, they succeed and you are left with a theft and stolen or broken equipment. WHAT IS A MINISTRY LEADER TO DO? The claims department at Adventist Risk Management, Inc. (ARM) receives a variety of theft and burglary claims each month. Is the answer armed security or simply improving lock up procedures? 1. Have you consulted with local conference leadership and the conference attorney to review the gun use laws in your jurisdiction? 2. Does your conference have an established policy that no firearms will be allowed on conference-owned property? Your church is considered private property. In many states, the property owner can establish their property as a weapons free zone. Some jurisdictions require specific announcements or postings. 3. Does the individual who may be willing to provide armed security for the congregation have the proper license or concealed weapons permit and firearm liability insurance? State laws vary on gun licensing and whether a concealed weapon permit grants permission to the owner to have a gun in a house of worship. 4. What level of training in firearm use does the individual have and do they have law enforcement experience in the use of deadly force in a public assembly area? 5. Is the armed security service provided by a licensed and bonded security company? Be sure the person has insurance or be willing to purchase such insurance for the church. If you decide to move forward with hiring armed security, work together with your conference to make sure your ministry has the correct insurance coverage, chooses from a professional security provider, and follows the procedures for keeping both members and visitors safe. It is important to note that most church organizations insurance coverage does not provide protection from liability arising from the use of firearms. Please work with your conference and ARM for needed insurance. ARM has created a check list to use each time you lock-up after each event. These steps will help further secure your church building. Begin by walking around the perimeter of the building and lock all doors, windows, and gates. If there are other buildings such as a gym, fellowship hall, or a storage shed be sure to securely lock all windows and doors for these buildings as well. As you conduct your perimeter check, look for and pick up any trash, personal items, or non-secured items. Take time entering each room, and making sure they are empty before locking windows and doors, and shutting off lights. Collect any misplaced personal items for your lost and found containers. Check each stall in the bathrooms and make sure faucets are completely turned off before locking doors. All electronic equipment should be shut down and put away in its corresponding storage area. If there is no specific storage area for your equipment, lock equipment in an interior, windowless room. Once you have secured the exterior and interior of your facilities, it’s time to activate the security system. 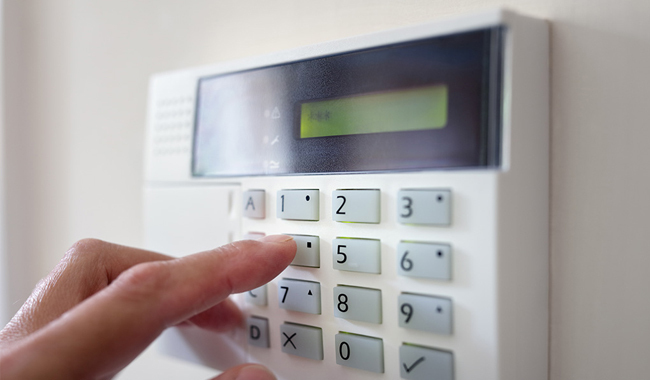 Some alarm systems will alert you on a digital screen if a door or window is unlocked or open. Check to make sure your system does not detect any unlocked entrances. Then set the security system and exit the premises in the appropriate time. · Security lighting around the facilities’ perimeters and in the parking lot. · Motion sensor lights in hallways, near entrances, and by the perimeter security lighting. Taking the extra time to install these security systems and work together with your conference can save your ministry from avoidable incidents. Combining security systems and a thorough, regularly conducted lock-up process, you can rest easy knowing that your church is better protected. For more information on church safety, visit AdventistRisk.org/Prevention-Resources.